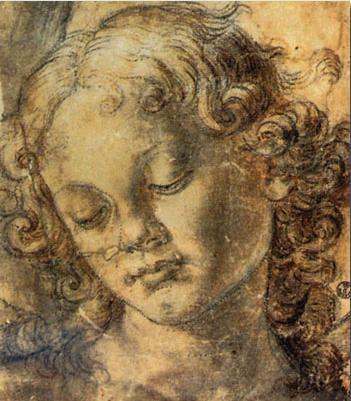 Head of an Angel by Verrocchio. See my Angels in Italian Art Page. And visit my Rome Paintings Page, Florence Costumes, Venice Art - Canaletto Pages. 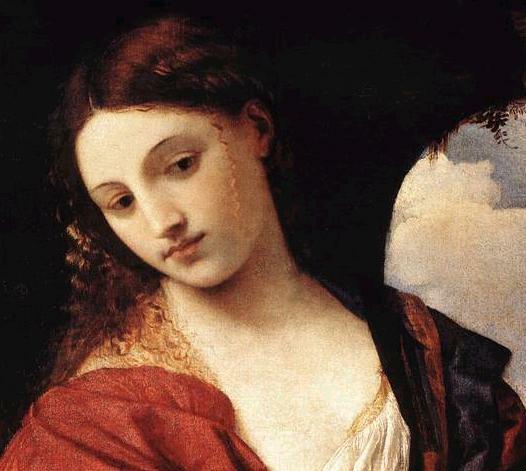 Judith (detail) by Titian, one of the artists you can read about in the Illustrated Biographies I've prepared with text by Amy Steedman. 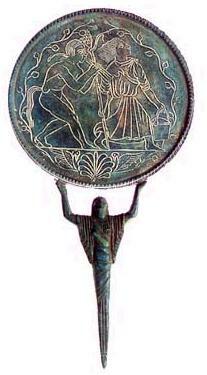 The Etruscans were renowned for their bronzes. 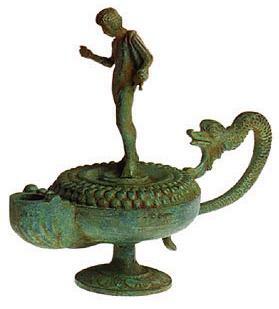 There are many museums in Italy dedicated to these early inhabitants of Italy, to various art styles, and to history. 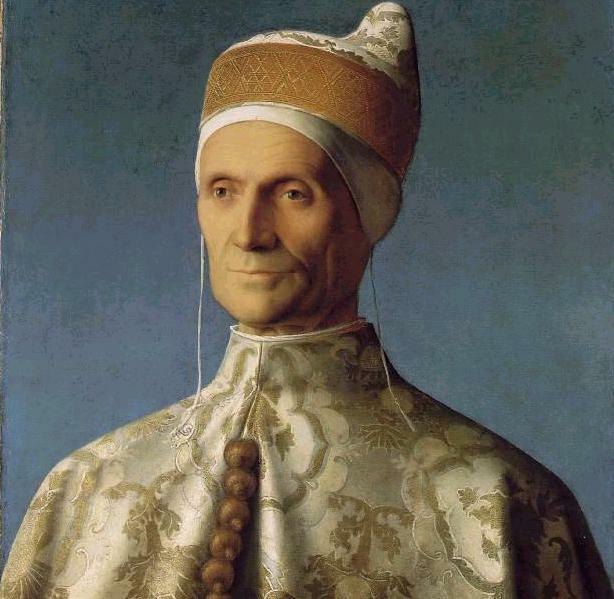 Bellini's portrait of Venice' Doge Leonardo Loredano reproduced from the 'Vasari Site' . send an electronic postcard of any of their artwork via e-mail. Palazzo Vernier dei Leoni, home of Ms. Guggenheim's collection. 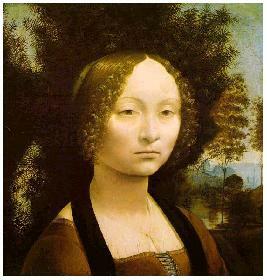 Ms. Guggenheim in a painting by Courmes, and in Venice. There is a wonderful website for the 'Guggenheim Museum in Venice'. Architecture is an Italian art often brushed over when the splendor of Italian painting and sculpture is everywhere in Italy. But a professor of architecture at the University of Virginia has put together a wonderful online archive for his students and the world at large: Italian Renaissance and Baroque architecture. 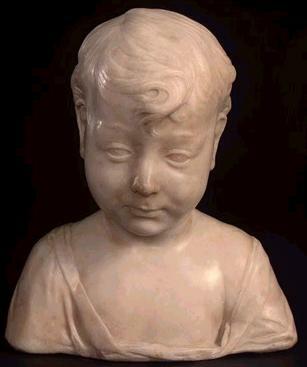 These two sculptures of boys are from the Florence school. They are currently in the National Gallery in London, and can be seen on-line. I've created free art prints you can download and print on a color printer. They make wonderful framed reminders of the beauty of Italy. Click on one of the samples to view that series. Visit my H.F. Ullman page that features the beautiful and affordable art books by this specialty publisher. They also print wonderful Italian cooking and culture books that are the best you can find for very reasonable prices. There are some staggering statistics about Italy and art. For example, Italy is home to 80% of UNESCO's heritage sites, and 60% of all the art in the world is in Italy. The knowledge of Italian art and artists by your average Italian is often better than that of students of art from any other country. It's as if it were in the Italian blood, and every town seems to be able to lay claim to some famous artist. There is a site that has all of the museums in Italy listed with links, etc. and you can search for one by subject or by region: Musei Online. The link I put keeps becoming obsolete, so just Google it. You'll also find some links to museums on my Rome, Florence and Venice pages. 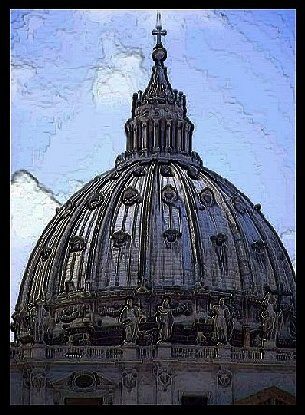 And the Vatican Museums on-line exhibits. 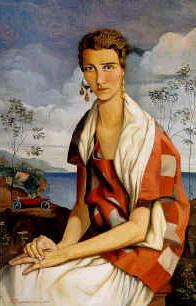 If you're a desk-chair admirer of Italian art, there is a wonderful on-line gallery, the Web Gallery of Art. Click on this logo to visit it. But be sure to come back here. There's lots more below. And the Metropolitan Museum of Art in New York City has these online timelines of Italian art. I took care of two small children when studying Italian in Florence. Their family was shocked when they learned I had taken the children to a church to look at paintings and sculptures before our usual trip to the park to play. The children loved it however, and often begged to look at more churches. The experience taught me that many Italians take their artistic patrimony for granted, rarely visiting their many museums and churches, leaving them instead for the tourists. If you're interested in gaining ground on the subject and avoiding embarrassment when the subject comes up while traveling in Italy, I've illustrated biographies of some of the most famous Italian artists. The biographies are by Amy Steedman. To learn more about Ms. Steedman and to link to the illustrated biographies, click here. There is a very famous book that was published in 1550, during the Renaissance, by Giorgio Vasari, often called Vasari's Lives, but the full title of which is The Lives of the Most Excellent Painters, Sculptors and Architects. Some enterprising person has made a wonderful site representing Vasari's Lives which shows a photograph of each work of art Vasari mentions, and then states where it can be found today. Click here to link to a beautiful representation of the title page of the original book. Then click on the page to enter the site. To go to the artist sections, click on Lives at the bottom of the page. I won't link you directly to the artist pages because the journey is so pleasurable. 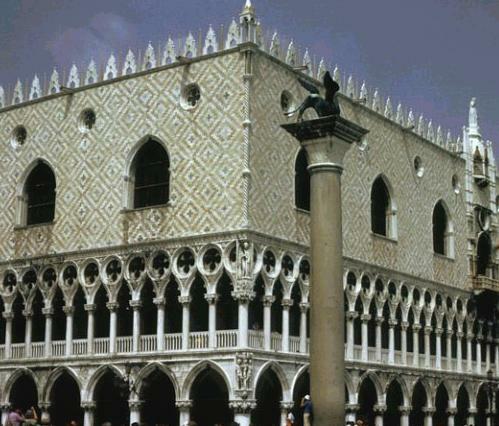 This site is a wonderful preparation for the museums and sites you may visit when in Italy. 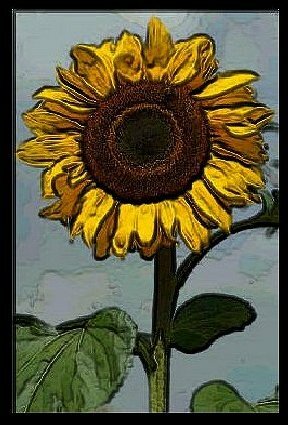 And if you are a student of art, it is a wonderful education! 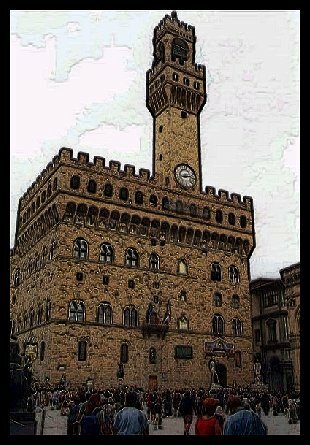 For free e-book editions of the Vasari books, visit Project Gutenberg, the Internet's grand-daddy of all free e-book sites. 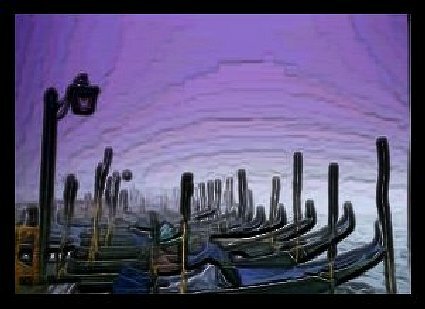 And for links to free e-book editions of two books by art expert Bernhard Berenson on Venetian and Florentine Renaissance art visit my review of those books at my Italophile Book Reviews site. 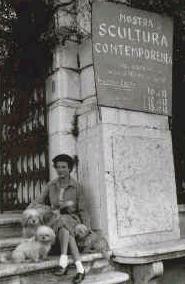 Peggy Guggenheim's collection of early 20th century art in Venice is very famous and popular with artistically-minded tourists. The museum has a wonderful website that describes the collection and the history of how it was put together by Ms. Guggenheim. Click here, to visit their site. If you'd like to read some personal remembrances of Ms. Guggenheim by a long-time friend, journalist John Phillips, you can download and read the essay for free from an e-book site. Click here to arrive at their Free Page, then scroll down to the essay entitled Peggy, and click on the highlighted line: Read the essay in Adobe Acrobat PDF. It is full of lots of personal tidbits to make you feel as if you knew the heiress personally. If you need help with e-books, try my free Lessons on E-text and E-book downloading and reading, available from the main page of this site. London's National Gallery of Art offers an on-line tour of 15th century Italian sculpture. 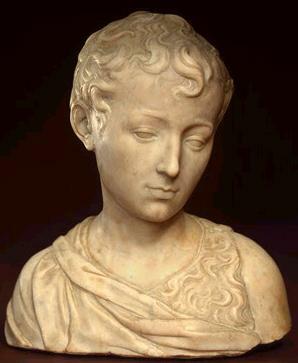 The Hermitage Museum of St. Petersburg, Russia has their Italian sculpture on-line. It's a modest collection, but they link through to their Italian paintings, so there is lots to see. And there is a very complete site with information and images of 1200 years of Italian sculpture. The link is not always on-line, but if you catch it working, it's a treat. 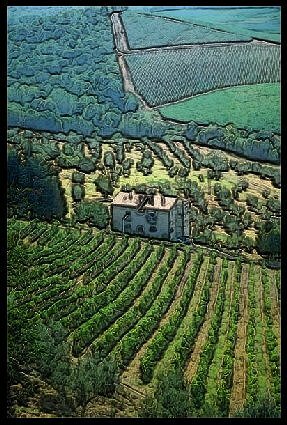 I'm always amazed at the prices charged for nice, frameable prints of Italy. My economical nature, combined with frustrated artistic ambitions, pushed me to create some free art prints you can download and print out on a color printer. 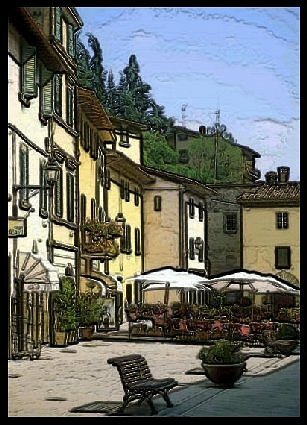 I've applied a simulated wax coating to free images of Italy, and come up with six series of prints, post-card sized. You can always enlarge them if you wish, but remember, you use more colored ink printing a large image. I've placed them in MS-Word documents so they are ready to print. You can also download the image itself, as always, by using the right mouse button. They look best when printed on matte photo paper, and are beautiful framed in groups. A sample from each series appears in the left column of this page, linking to the various series galleries. Or you can link to the galleries by clicking on the gallery title below. You can see what's available at Amazon.com in terms of art books using this search tool. Just enter 'Book' in the 'Search' category, and 'Renaissance' for example (or an artist's name) in the 'Keywords' field. Then click on the 'Go' button to see the full list of books available, with comments and prices. Here are DVD biographies by A&E of Michelangelo and DaVinci at Amazon.com. Here are some coffee table books on Italian Art from Amazon.com.